SOFIX closed on negative territory for the forth straight session today. The blue chip index declined 0.63% to 1227.3 points. The other three BSE indexes also ended in the red. BG40 lost 1.39% to 337.16 and BGTR30 fell 0.82% to 823.85. BGREIT closed at 95.65, or 0.54% down from opening. Total daily turnover stood at 6.78 mln leva (3.46 mln euros). 32 out of the 125 active issues today closed higher. The value of block and other agreed transactions came to 11.42 mln leva (5.83 mln euros). The most liquid company on the market today is Eurohold Bulgaria. 34,364 shares changed hands in 118 transactions on the position at an average of 5.81 leva apiece, which is 2.68% up from opening. Holding Roads shares depreciated by 2.03% after 237 shares changed hands in 84 transactions at an average of 1 064.35 leva/share. Today was a very successful day for Lomsko Pivo. The company placed all 250,000 shares it offered in a closed mixed auction today. The stock was traded at 5.2 leva. We remind that the maximum limit price was set at 5.32 leva apiece. During regular trade hours the stock gained 2.55% to 3.62 leva at a turnover of 121,172 shares. Things did not go that well for Lead and Zinc Complex, which suffered one of the most serious corrections in SOFIX today, losing 3.99% to 39.66 leva apiece at a turnover of 1,408 shares. 102,765 shares changed hands on the position of FIBank. The stock price declined 1.22% to 7.27 leva. After some fluctuations during the past several days, Agria Group Holding closed higher today, at +0.22% to 8.99 leva at a turnover of 57,983 shares. Synergon Holding and Chimimport were among today's decliners. Synergon lost 3.22% to 8.72 leva and Chimimport fell 1.12% to 10.57 leva. 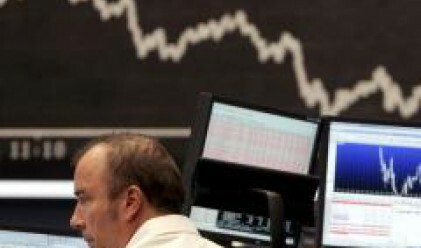 Shares in Kremikovtzi plunged to the daily minimum limit. This happens for the second day in a row. The stock lost 9.96% today to 3.25 leva. Some 6,117 shares changed hands on the position. SAF Magelan, on the other hand, continued to advance, adding 1.48% today to 23.39 leva at a turnover of 990 shares. Formoplast shares appreciated by 3.97% and closed at 1.31 leva. As we already wrote, the company has filed an application with BSE asking for its issue to be transferred from Unofficial Market of Equity, Segment B to Official Market of Equity, Segment B.